In an attack, when the officers of his own and the next platoon were killed, he took charge of both platoons, which considerably helped in the capture of the objective. Later on he was badly wounded. J. C. J. Elson’s Honours and Awards: The South Staffordshire Regiment 1914-1918 confirms this honour, stating that an A./Cpl. T. Walsh, of the 1st Battalion South Staffordshire Regiment (number 14223) was awarded the Military Medal. This was announced in the London Gazette on 4 February 1918. Having confirmed his first name as Thomas, using his regimental number, there are two possible men with this name, born in Wolverhampton in 1893 and 1895 respectively (the former being a Thomas Henry Walsh). He does not appear to have died in the war, but without further information I am unable to confirm additional details for him. Arthur Nicholls was born in Wolverhampton in 1895, the son of Thomas and Elizabeth Nicholls. In 1901 they were living at 76 Rookery Street, in Wednesfield, together with Arthur’s brothers George, Thomas and William, and sister Annie. He married Annie Langman in 1915, and they had a child, Frederick, born in 1916. He joined the 79th Brigade of the Royal Field Artillery as a Gunner (number 90747) on the outbreak of war. Almost a year later he was invalided home suffering from dysentery. He recovered and returned to fight, but was killed in action on 6 July 1917. He was featured in the Midland Counties Express on 15 September 1917, and is commemorated at the Anzin St.-Aubin British Cemetery in France, as well as on the Roll of Honour for Wednesfield Village. Thomas Jasper was born in Wolverhampton in 1891, the son of William and Elizabeth Jasper. On the 1901 census, the family are at 318 Hordern Road, and Thomas (affectionately known as “Tom”) and his parents appear together with his sisters Annie and Lucy C., and his brothers Arthur and William H. Thomas was taught at St Andrew’s School and later became a member of St Andrew’s Church Institute and a sergeant in St Andrew’s Church Lads’ Brigade. He served for a number of years as an assistant in the office of Samuel Bowers, the secretary to the West Wolverhampton Conservative and Unionist Association, and was one of the local organisers in the two General Elections of 1910. When war broke out, he joined the 1st/6th Battalion of the South Staffordshire Regiment as a Sergeant (number 2648). When he came home on leave in September 1915, he brought several German trophies with him. A fortnight later, on 13 October 1915, he was killed in action while leading his platoon. By this date his parents’ address was 24 Walpole Street. Thomas became one of the “brave men of Whitmore Reans” who were commemorated in a memorial service held at St Andrew’s Church, as reported in the Express & Star on 25 October 1915. His name was listed in the Wolverhampton Chronicle on 20 October 1915, as a local man who had been killed. Finally, a piece on him also appeared in the Midland Counties Express on 6 January 1917. He is commemorated on the Loos Memorial, as well as on the Roll of Honour in the Lady Chapel at St Peter’s Church. This blog posting has been prepared by one of our volunteers, Ann Eales. Regiment/Service: Royal Engineers Postal Sect,. Grave Reference: V. E. 39. Cemetery: Abbeville Communal Cemetery Extension. Wolverhampton Higher Grade School Memorial, and Wolverhampton Area Postal Workers Memorial, both have this information too. A search for military records, found only his Medal Index Card, showing that he joined service as a Corporal, Regimental number 27769, before promotion to Second Lieutenant. There is also a small entry recording “Died 7/12/18 (Flue) [sic]”. Three large hospitals were stationed at Abbeville in WW1, and it was the Head Quarters of the Commonwealth lines of communication, so Sidney Dain succumbed to influenza, and was possibly admitted to hospital, near to where he was stationed. His death occurred after Germany signed the Armistice on 11th November 1918. Information about the Postal Section of the Royal Engineers is that they performed an important role. This operation was controlled by the GPO, and apparently even questions in Parliament about forces mail were answered by the Postmaster General, and not the War Minister. At its peak during the war the GPO was dealing with an extra 12 million letters and a million parcels being sent to soldiers each week. The article headed “How did 12 million letters a week reach soldiers?” , dated 31 January 2014, explains this. By 1901 the family, still living at 29 Mander Street, was Herbert, age 46, a Rent Collector, his wife Christabella age 48, Herbert J Dain age 22, Leather Merchants Assistant, Frederick A Dain age 18, Accounts Clerk, Ernest C Dain age 13 Hardware Factors Warehouse Boy, and Sidney age 11. The 1911 census shows the family living at 15 Lea Road. Herbert now age 56 still works as a Rent Collector, Christabella is age 58, Ernest Christopher age 23 is working as a Carpenter and Joiner employed by a Builder, and Sidney Edward, age 21 is a Sorting Clerk and Telegraphist working, for the Post Office – significant in view of his subsequent Army Service. Regiment/Service: Durham Light Infantry 15th Bn. Additional Information: Husband of Amelia Cadwallader, of 64, Jeffcock Rd, Wolverhampton, son of the late John and Sophia Cadwallader. This tablet was erected by their proud and grateful employers to the honoured memory of the following brave men of the Monmoor and Victoria Works who gave their lives for their country in the Great War 1914-1918. It includes the name of H. Cadwallader. The company at this works, Bayliss & Jones, produced ornamental ironwork. Horace Cadawallader’s army records survive, and include the Short Service Attestation Form showing he was living at 29 Haden Hill, Wolverhampton, age 36 yrs 11 months, Clerk, and willing to be enlisted for General Service (RAMC). The Descriptive Report on Enlistment Form says he was age 37 yrs, height 5ft 7½ inches. Married to Amelia Harrhy, at Wolverhampton Registry Office, Child Joan, born at Rogerstone 21.1.1915. A younger child Betty, born 18.8.1916 at Wolverhampton, is recorded on a second form. He joined the10th South Staffs, at Lichfield on 20.6.1916, was allocated the Regimental Number 32497, was at Rugeley Camp 22.6.1916 and 9th Training Reserve 31.8.1916, at Rugeley Camp he was “Cpl acting unpaid” on 9.9.1916. 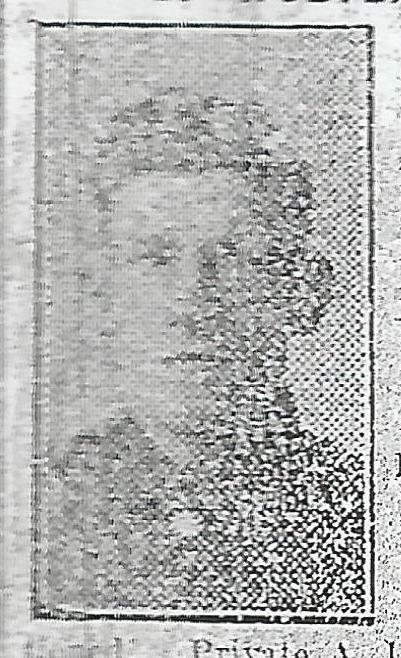 From Rugeley Camp he was posted to the Durham Light Infantry, was sent to Etaples 24.12.1916, and posted missing on 5.2.1917. The Field Service, Army Form B2090A “Report of the Death of a soldier” is typed up with details, including date of death 9th April 1917, in the field (France), Burial report dated 27th April 1917, made by GOC 21st division. Spaces to state whether he made a will or not are completed. We have just had the news from a friend that that my brother Pte H Cadwallader, 6 Platoon B Company, 15th Durham Light Infantry BEF France is missing. We should feel indeed grateful if you could give us any details of his fate and also if possible the date he was missing. If you could let us know this, it would greatly relieve our anxiety. A letter dated 2/5/17, from Horace’s wife, Amelia Cadwallader, asked if definite information was available. The records also include a list of his effects, including “steel mirror, photos, calendar, letters, note case”, which were sent to Mrs Amelia Cadwallader of 29 Haden Hill Wolverhampton on November 12th 1917. There is a receipt for the Memorial Scroll sent to Amelia, dated October 14th1920. A second, typed, letter from Amelia dated 11 March 1922, sent from 64 Jeffcock Road to CSOF (Chief Superintendent Ordnance Factories), states that it was strange that the Memorial Plaque had been sent to another member of the family, and his widow hadn’t received one. Investigations were made, though it is not clear how this matter was resolved. Paperwork in the record shows the plaque had been sent to her at 3 Larches Lane, her address when she completed and returned the Statement of All Living relatives. Horace Cadwallader’s birth was registered at Wolverhampton in the quarter ended March 1879. The 1881 census has Horace, age 2 (mistakenly identified as a daughter called Florence) living at 114 Dudley Road with his parents, John age 46, a Grocer Shopkeeper born at Wolverhampton like all members of the household, Sophia E his wife age 39, Walter P, age 17, an engineer & Fitter, Herbert J, age 15, Occupation Clerk at Corrugated Iron Works, Frank C, age 13, Sidney age 10, and Edith age 7, all scholars, Ada age 4 and also Eva J Laxton, a Visitor, age 16. When the1891 Census was taken the Cadwalladers were living at Church Lane, Wolverhampton. Household Members were John age 53 Clerk, Sophia E age 49, Herbert age 25, Clerk, Sidney age 21, Edith age 18, Ada G age 14 and Horace age 12 scholar. At the time of the 1901 Census the family lived at 1, Beckminster Terrace, Upper Penn, Wolverhampton. The household members were John age 66, Retired Grocer, Sophia E his wife age 59, Edith A, age 28, Ada G, age 24, and Horace age 22, Clerk in Fencing Manfrs. (Bayliss and Jones doubtless), and Frederick G Eaton Visitor age 22, Clerk Iron Founders. By 1911 Sophia Elizabeth was widowed, living at Sedgley Nr Dudley, with Ada Gertrude, age 34, single, and Horace age 32, also single, occupation Commercial Clerk at a Fencing Manufacturers. Horace’s marriage to Amelia Harrhy was registered at Wolverhampton in the 3rd quarter of 1914. Frank Haynes was born in Longton, in Staffordshire, in 1891. His father, John Haynes, died at the age of 34 in 1894, and it is possible that his mother, Mary Ann Haynes, died too (there are a few possibilities). By 1901 he was living with his grandparents, George Henry and Elizabeth Taylor, at 100 North Street, together with his brother, George Henry Haynes. Frank may have married in December 1911, as this would make him 20 years old. In September 1914 he joined the Royal Navy and became an Able Seaman (KP/558). 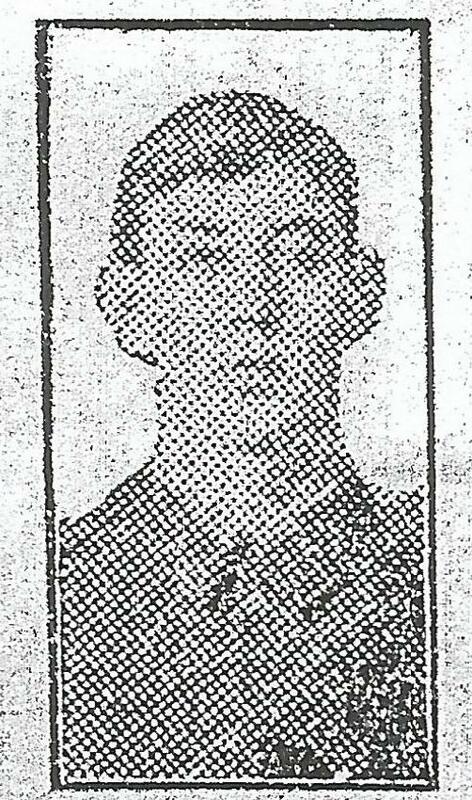 He died in action in the Dardanelles on 4 June 1915, and this was noted in an article in the Express & Star on 23 June 1915. He is commemorated at the Helles Memorial in Turkey. Albert Ward Spencer Molineaux was born in 1896 in Wolverhampton, the son of Albert Thomas and Laura Molineaux. In 1901 they were living at 58 Avondale Road, together with Albert’s brother Lawrence M., sisters Alberta Theodora and Rosaline Vera, and servant Annie Adey. He attended Wolverhampton Grammar School 1910 – 1911. At the outbreak of war, he joined the Army, and later the Royal Flying Corps, becoming a Second Lieutenant. According to an article in the Express & Star on 22 September 1916, he “met his death at an aerodrome” on 28 July 1916, although it does not give any further details. His entry on the site for former pupils of the Grammar School who died during the First World War, states that he died at Northolt, Middlesex, having lost consciousness during flight. His casualty card, indexed here, states that he died as a result of the pilot fainting and falling on his controls. He is buried at Wolverhampton Borough Cemetery, and there is a photograph of his grave on Martin Nicholson’s Cemetery site. Albert Daniel Hazeldine was born in Wolverhampton in 1896 and lived with his family in Ettingshall. He was educated at the Ettingshall Wesleyan School and was a member of the Boys’ Brigade. He later worked at Messrs T. Holcroft and Sons Ltd, Ettingshall Foundry. Albert enlisted in the 12th Battalion of the Northumberland Fusiliers (number 17105). According to a report in the Express & Star dated 25 November 1916, he was initially reported as wounded and missing. It was later reported that he had, in fact, been killed, on 13 July 1916. He is commemorated at the Thiepval Memorial, as well as on the Bilston Priestfield Roll of Honour. 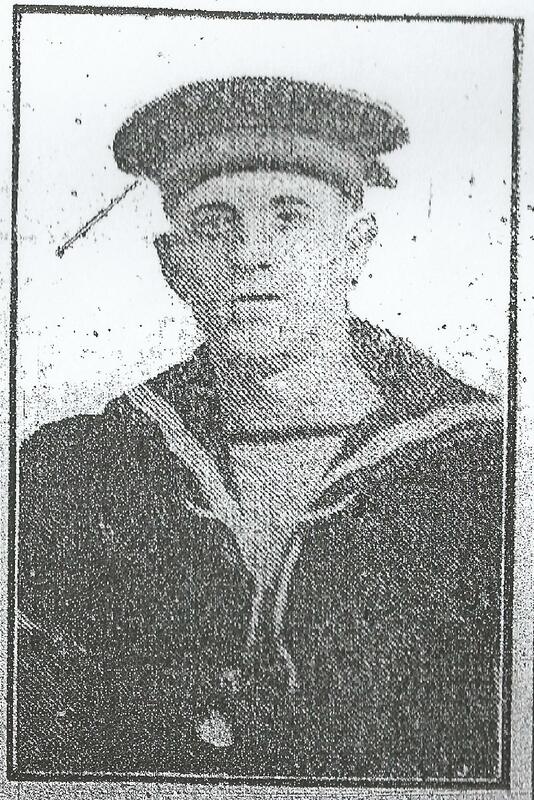 He appeared in the Midland Counties Express on 25 November 1916. If you would like to assist with further transcriptions of this site, which can be done remotely as many have been scanned, please get in touch! Joseph Davis Gascoigne was born in Wolverhampton in 1892, the son of George and Sarah A. Gascoigne. In 1901 they were living at number 7 All Saints Road, together with Joseph’s brother, Fred. Joseph enlisted in the Royal Engineers and became a Sapper (number 167842). 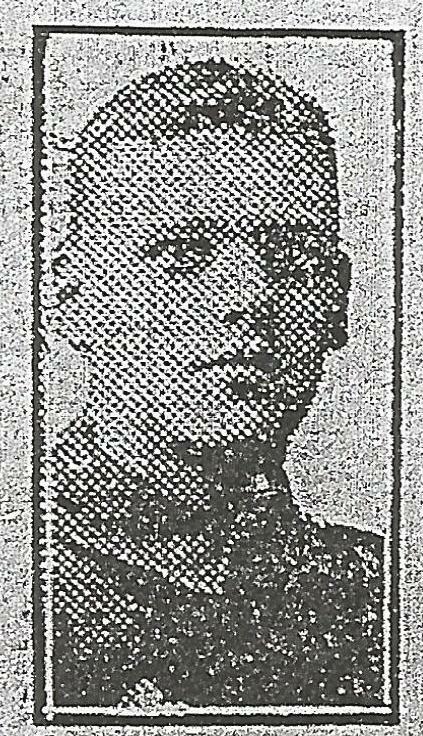 He was listed as wounded in the Express & Star on 7 May 1917, but it seems that he did survive the war. In 1915, he married Rhoda Perry in Wolverhampton, but they do not appear to have had any children. Joseph died at the age of 71 in 1963.